1. 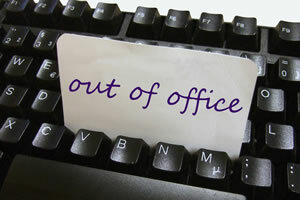 Everyone needs to get out of the office! There is nothing better than the weekend in my opinion; I am one of the fortunate people who gets my weekends off this has not always been the case so I like to take full advantage of it now! I have friends that even though they are “Out the office” they still answer cell phone calls from work. What? Really! Does this sound like you? Need a solution? Maybe you should point out to your boss that on January 5th, 1914, Mr. Henry Ford announced that he set the work week to five eight hour days. The results were noticeable, The Ford Motor Company saw reduced turnover and was spending less money finding and hiring new employees. The company was also able to retain the best people for the jobs it had, thus making the operation more efficient. 2. People need a hobby! Definition: A hobby is an activity or interest that is undertaken for pleasure! Used in a sentence: Cat sailing is the best hobby ever! Hobbies are stress busters. Today, everyone is busy and has plenty of responsibilities. In the hurry of everyday life, it is not a surprise that we all crave to seek out something that we truly enjoy it really helps add balance your life. Surfside Sailing making the world a better place one person at a time! Lol!! ~ by Floyd on April 11, 2011.